Every morning there is something new and beautiful to see on my walk. This view of the sunrise above was the first sight to greet me as I stepped on to the boardwalk this morning at 7:30 am. What a glorious way to begin the day!! Feeling relaxed . . .
A few steps along the boardwalk, this big ol’ Alligator came into view. He was just sitting in the shallow water, waiting for the right meal to happen by. 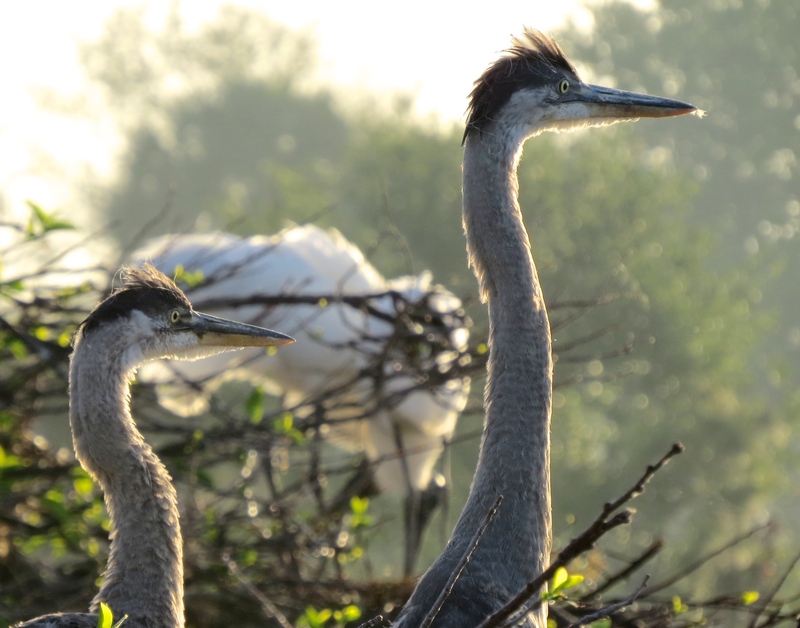 Next stop was the nesting tree island, which had previously been home to several Great Blue Heron pairs, but has recently been completely taken over by Wood Storks. These juveniles above have survived the ‘takeover’. 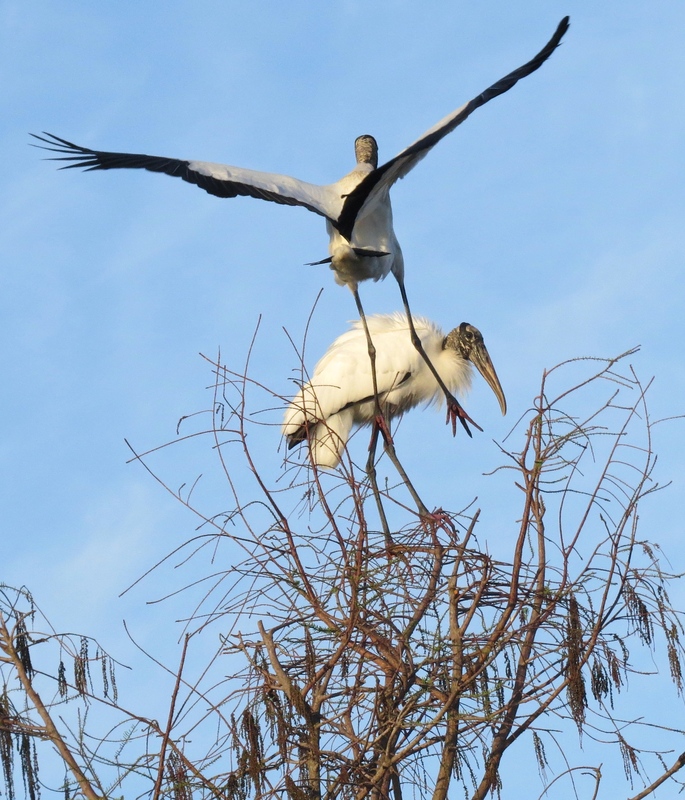 The Wood Storks are still doing a lot of nest-building and need the right soft materials to make their mates happy back at the nest. 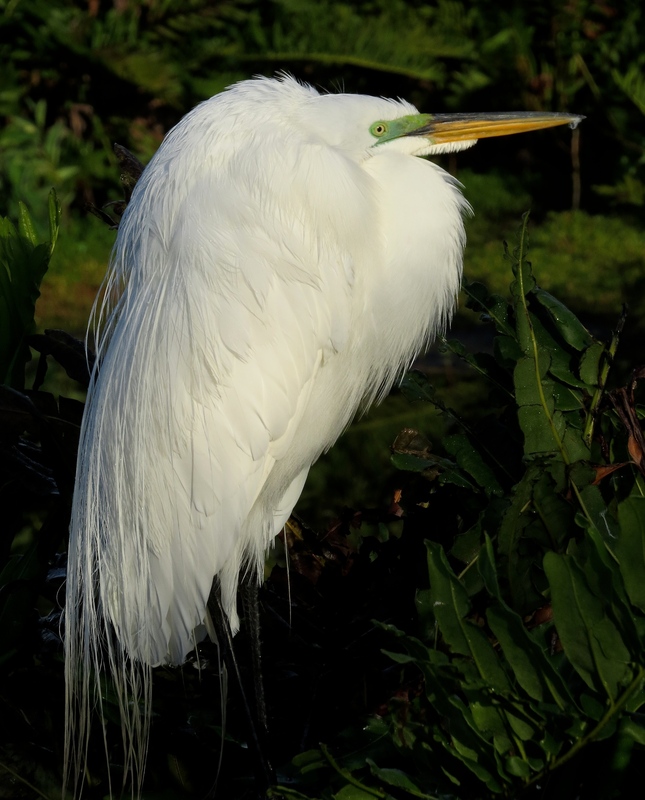 This Fluffed up Great Egret was thinking about getting up for the day. . . So much to do, so little time . 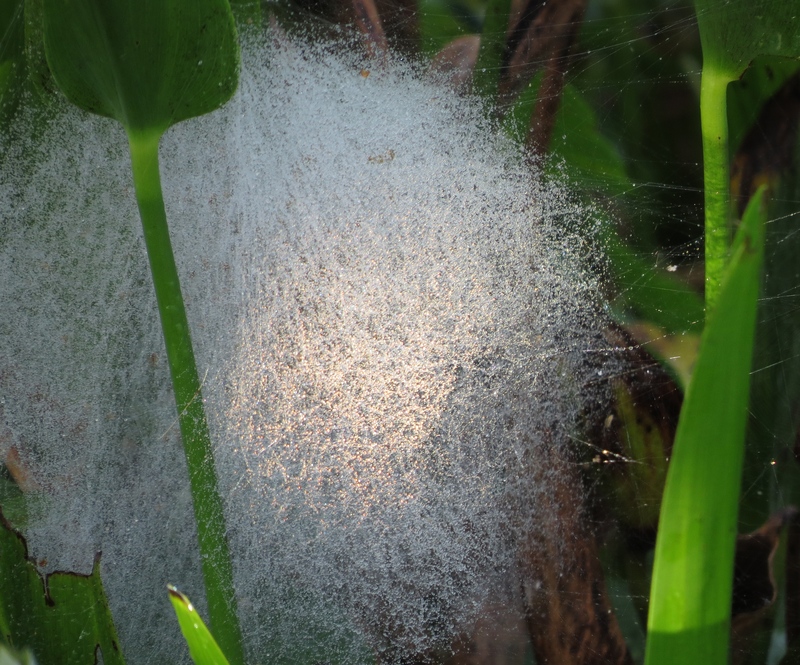 . .
Close up, it looks like a bunched-up Spider web??? Not even sure what this is, but the sight of it jumped out at me from among the plants in the pond, as it glistened with dew in the morning sun. I heard an odd, repetitious little clunk-clunk sound, and when I looked over into the trees, I spotted this guy picking berries for breakfast. Maybe he was spitting out the pits! 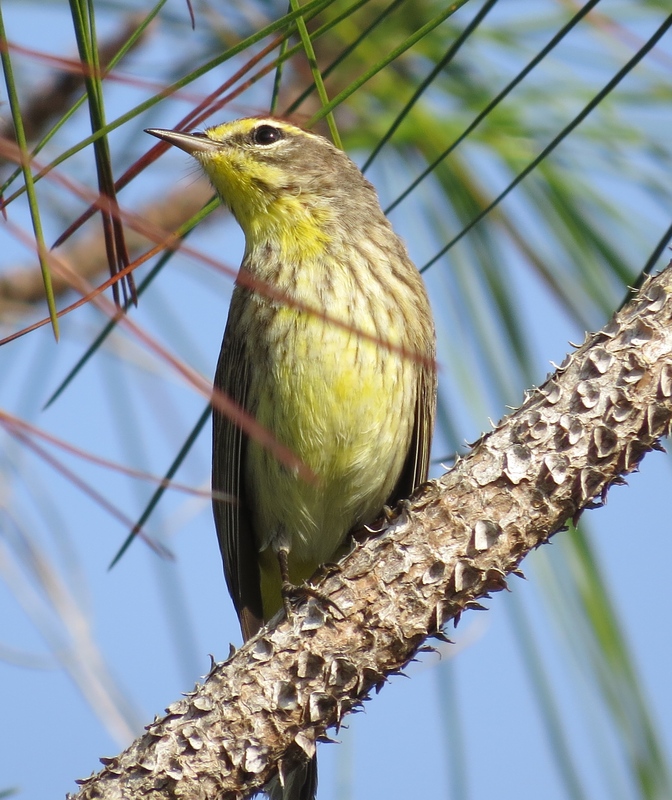 A couple of little Warblers were hopping around in the trees a little after 9:00 am, as the sun rose steadily in the sky near the end of my walk. 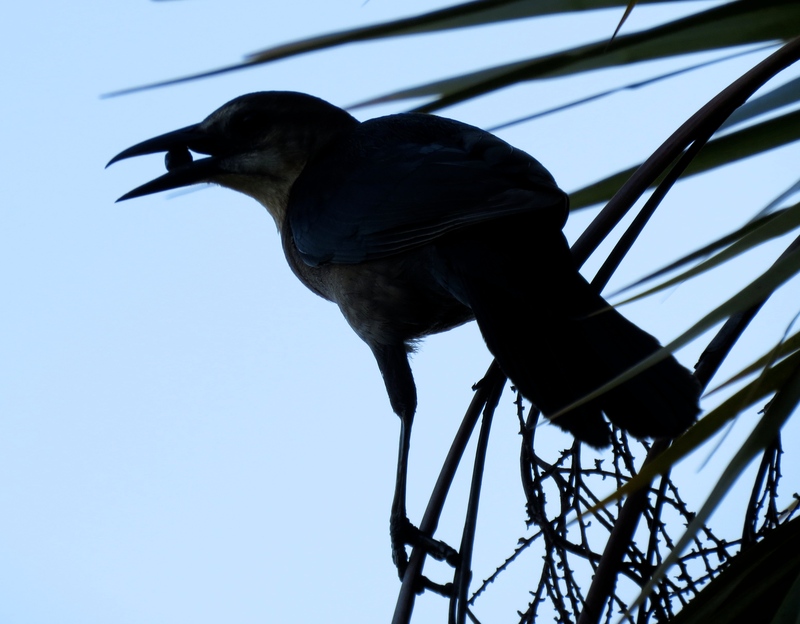 This entry was posted in Birds, Marsh/Wetlands and tagged American Alligator, Boat-tailed Grackle, Great Blue Heron, Great Egret, Warbler, Wood Stork. Bookmark the permalink. « Busy time at the Wetland Preserves ~! 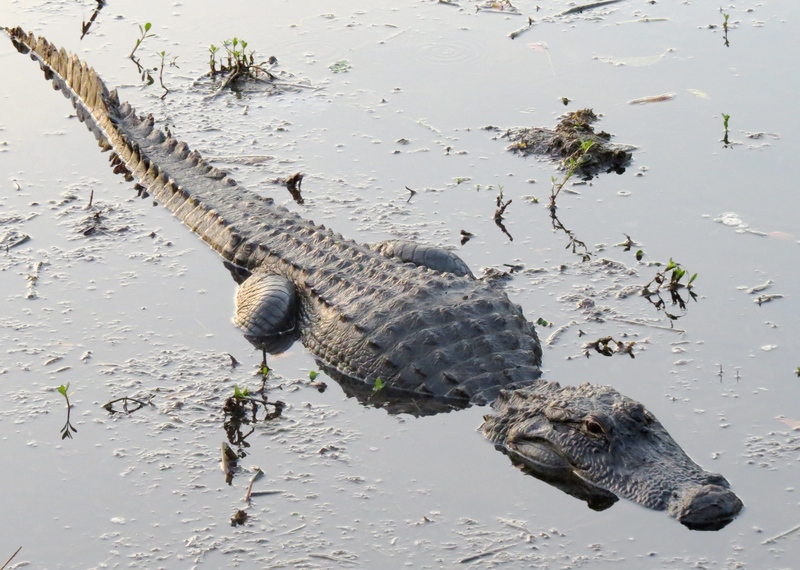 Love your post, must be fun being that close to alligators! Love the breeding plumage of the Great Egret also. Thank you, Aussie Birder! We are able to get amazingly close to all of the wonderful creatures in our local preserve. It is fun and fascinating. Wow you sure saw tons of great stuff on your walk! Lucky you! I agree with Phil. What a lot of wildlife. 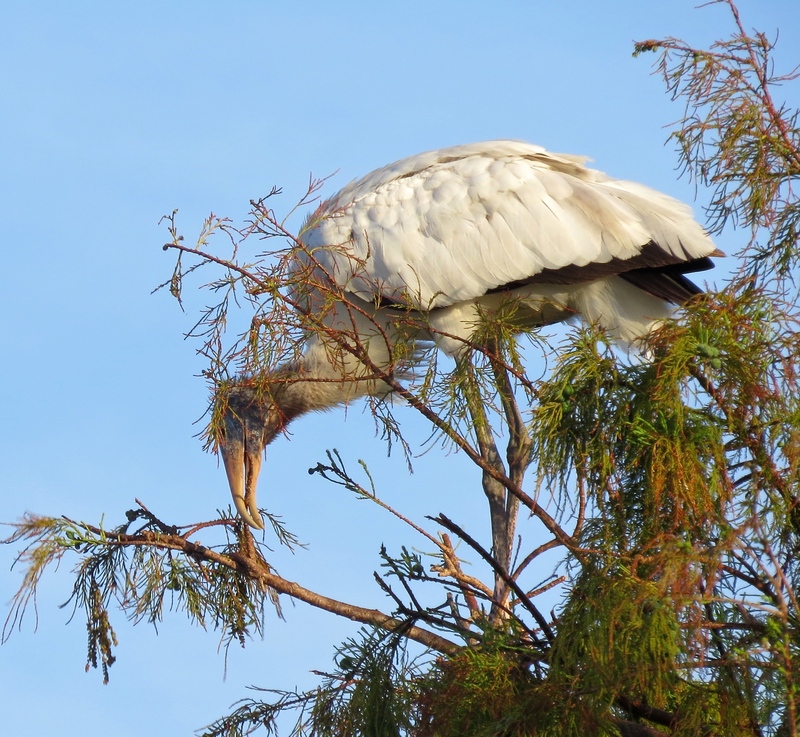 I really like those wood storks. 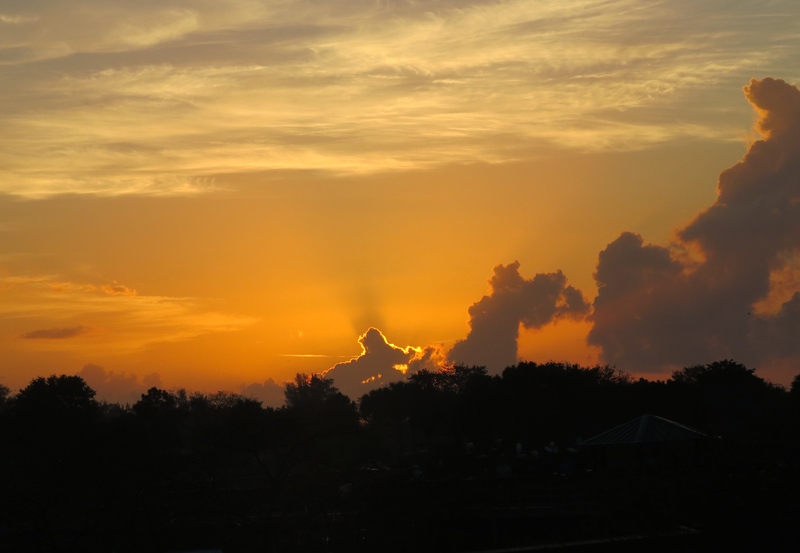 Great photos and that sunrise, wish I was there. The Warbler is lovely and I await there arrival here. I love getting out there at sunrise when all the birds are waking up and starting their day! Thanks for your visit, Donna! Your morning walks are so exotic! 🙂 I’m so thankful I get to join you over the web.. It’s great to see all those animals we don’t have over here. Thanks so much for your kind comments and visit, Calee. One of the beauties of blogging – that we get to share with people from all over the globe!